After travelling in the bus for two hours through some strange misty landscapes we arrived in Xalapa. One of our reasons for staying here for a few nights was to hopefully have a easier trip to visit Cantona. We had booked ourselves into our first hostel in a long time and once we arrived settled into our room. The only thing we needed that night was some food. Happily we found some tamales nearby and tucked into two each. In our time in Mexico we have discovered a love of atole, a warm sweet drink made from corn meal. This shop sold it in chica and grande sizes. Underestimating the richness of the beverage Tom ordered a grande to share. The flavour of the day was vanilla and it was like drinking a litre of custard. Not that that’s a bad thing as we both really like custard but needless to say we were quite full afterwards. 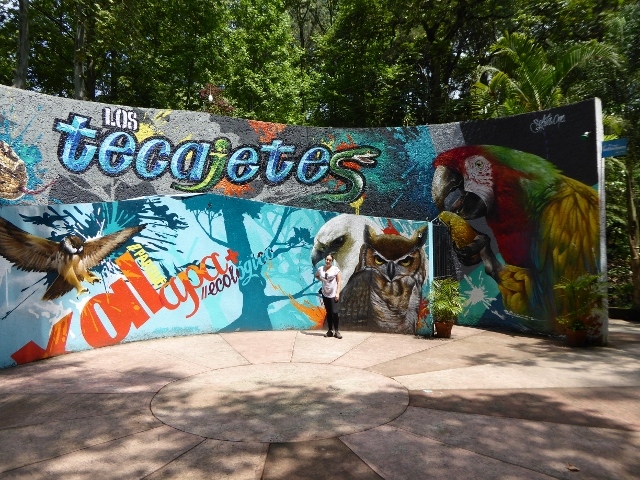 The next day we went for a wander to the nearby Parque de Los Tecajetes and then onto the Anthropology Museum of Xalapa. They were a bit of a distance from the hostel as well as from each other but it was nice to get out for a walk. 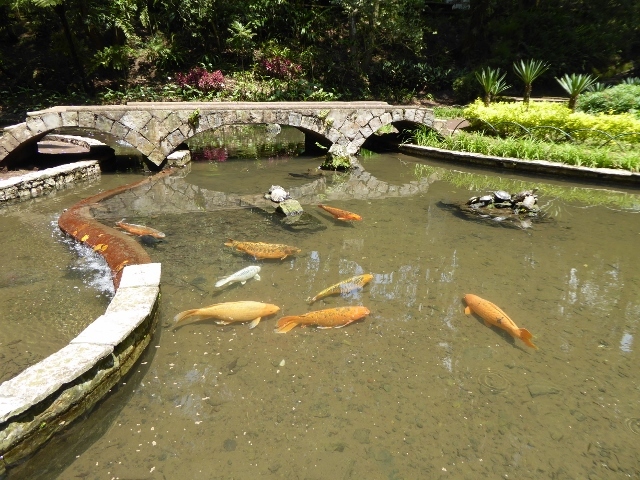 The park was nice and shaded with a few fountains which were homes for turtles and fish. The fish were the most gigantic I have ever seen in a pond setting. Massive koi and catfish easily over 50cm long and very rotund. There was also a few species of birds of prey tied to a rail next to the reptile house. I’m a bit torn about the birds as they were beautiful but on very short leashes without anything to occupy them. We continued on our walk knowing that at some point we would pass food. It’s typical, when you want something to eat there is never any sign of any restaurants or street stalls. But when you are not hungry you see them everywhere and they harass you. Finally we passed a place with cheap tortas. Cheap they were with the tiniest bit of tomato and avocado in them I’ve ever seen, but they filled the hole in my stomach. Finally we reached the museum at the top of a hill many kilometres later and happily entered the air conditioning. It was obvious that we had entered a new state (Veracruz) and the climate here was quite different from Puebla and Mexico City. It was much more humid as well as a few degrees warmer. The museum was really well put together. A large hall full of smaller artefacts adjoined with side rooms and patios containing come of the larger pieces. 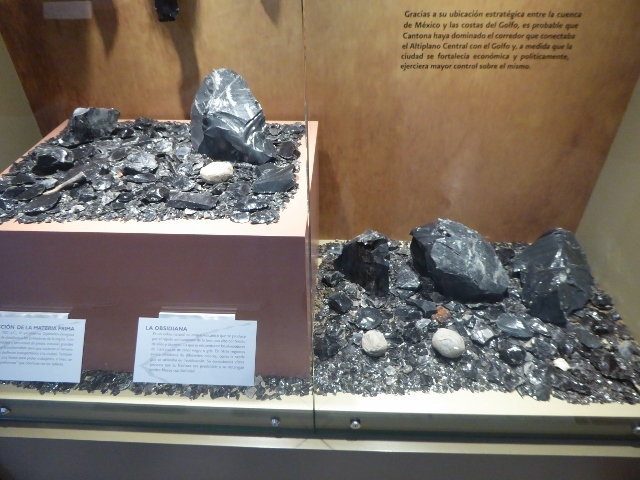 It showcases good examples of stone and clay work the people who inhabited this region produced, particularly the Olemecas. 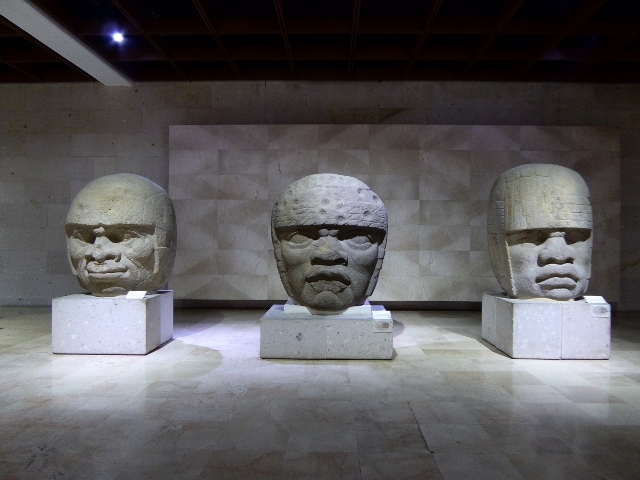 The best pieces are seven huge stone heads, another of which we saw in the Anthropology Museum in Mexico City. So it was an enjoyable day and although a little worn out we still decided to walk back to the hostel. With all the walking we had done in the day we were pretty exhausted but mostly ravenously hungry. For the second time in our travels we decided on a Chinese buffet for dinner. A little naughty but man did it hit the spot, especially the vegetables we don’t usually get with Mexican food. The next morning we woke a little earlier and tried to get out of the hostel promptly, we kind of succeeded. 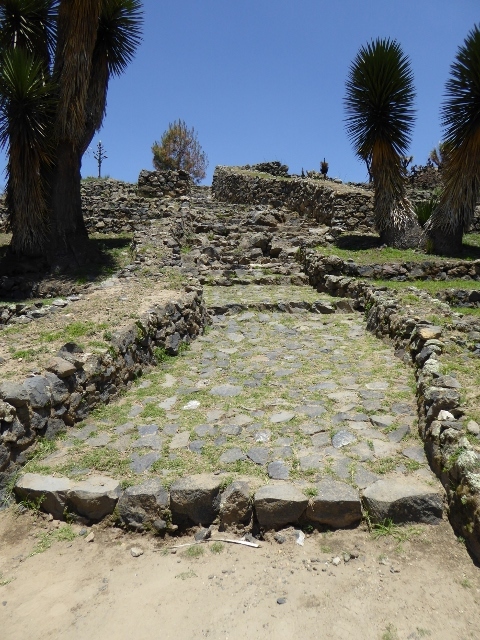 The plan was to make our way to the bus station and take a bus to a nearby town called Oriental where we would hopefully get a colectivo to Cantona Archaeological site. After travelling in the bus for about and hour and a half with Tom watching our progress on Google Maps he saw that we would actually pass by the road to Cantona. Asking the driver if we could get off the bus on the Autopista (highway) was probably not our smartest or most legal idea but it ended up saving us a lot of time. We jumped off the bus and walked through a toll booth, it must have looked a little odd. The man inside the booth helpfully answered our question about colectivos letting us know that one would pass by soon. Sure enough one came by within five minutes saving us what would have been a long hot walk to the site entrance. So our crazy transiting in the middle of nowhere was a success (luckily) and probably saved us an hour and a half of additional travel. Cantona is the largest of the Meso-American sites in Mexico and the sign post said it would take three hours to reach the end and loop back to the start. With this in mind we started in the site museo which was one of the best we had seen. All the signs also had English boards accompanying them so we learnt a lot about the area. Even if you are not a fan of site museums we would recommend this one as it really helps to put perspective on the site. The landscape around the area is pretty unusual. Dusty high altitude flat plains with heaps of volcanoes scattered around; including the biggest mountain/volcano in Mexico sitting snowcapped above it all. Thousands of years ago one of these volcanoes erupted leaving a lot of the ground covered in lava. 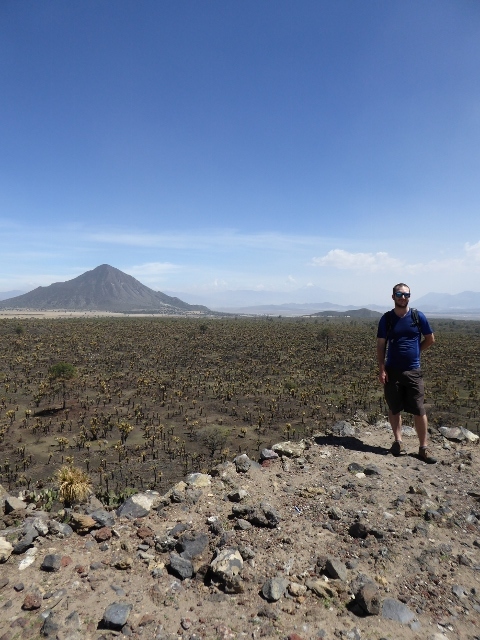 Atop of this great lava flow is where the people of Cantona decided to build their city.The plentiful amount of local obsidian would have made an impression on these communities and could have influenced the decision to settle here. Working and selling this material was a huge part of the economy of this city and on our walk around the site we often saw shards of old worked obsidian shining through the dusty ground. The site had been restored in an amazing way. The tracks you follow at the start of the site are all original roadways of the city. As we progressed through the various parts the size of the pyramids grew larger. A majority we could climb as well so by the end of the day our legs were aching. The site also has a huge amount of ball courts; around 26 have been unearthed, but I think we only saw six. This was definitely not the day for Tom to leave his cap on the bus as the area was exposed and warm. We had applied sunscreen though so we should have been one step ahead of the weather but somehow we both ended up quite sunburnt. Reaching the end limits of the restoration area of Cantona we stood on top of the highest pyramid (not the tallest just the one built on top of the highest point). The wind was blowing like crazy and we could see all the surrounding lava flow. From this vantage point we could see how much more of the uncovered city was around us. The ground had an almost geometric quality. From that viewpoint we could see where the walls still covered in debris and vegetation were hidden. Looping around the roadways on the opposite side of the city we returned to the entrance. Prepared to wait for a colectivo to return us to the nearest town with a bus departing to Xalapa, we ended up being offered a ride with some staff. We were dropped in a small dusty town in the middle of nowhere. From there we caught a colectivo through more of the middle of nowhere to a slightly bigger (but still small and in the middle of nowhere) town. We arrived at the right time as a bus back to Xalapa was leaving straight away. Hooray for good timing and easy transportation! That night I was too tired for dinner and fell into an exhausted sleep woken around 9am the next morning by the sound of a familiar accent. Four Australians had arrived at the hostel on their way to Mexico City. We had seen quite a bit of sun the previous day and our sunscreen hadn’t been up to the task of protecting us so we decided on a quiet day. We only left the hostel for necessities: food and beer, oh and more sunscreen. It turned out that one of the Aussie’s had only caught a ride with the others to Xalapa so we spent the afternoon making a new friend. 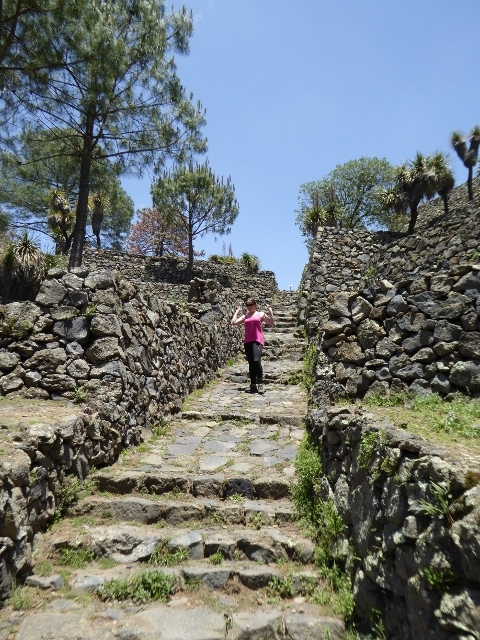 She accompanied us the following day to Xico, a nearby town and Pueblo Magico. 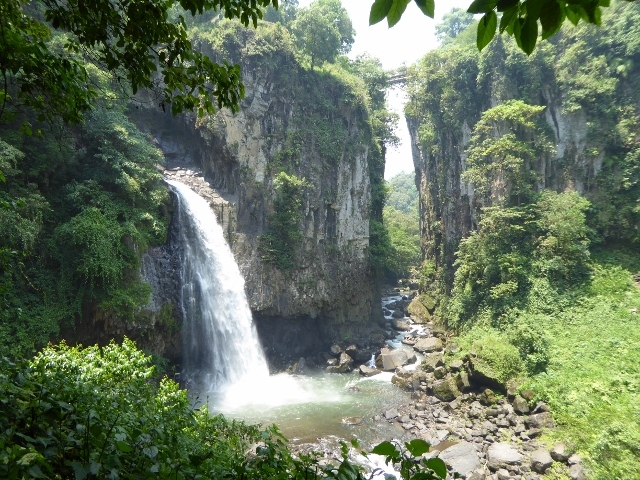 The main attraction of Xico is the waterfall just outside of town called Cascada de Texolo. 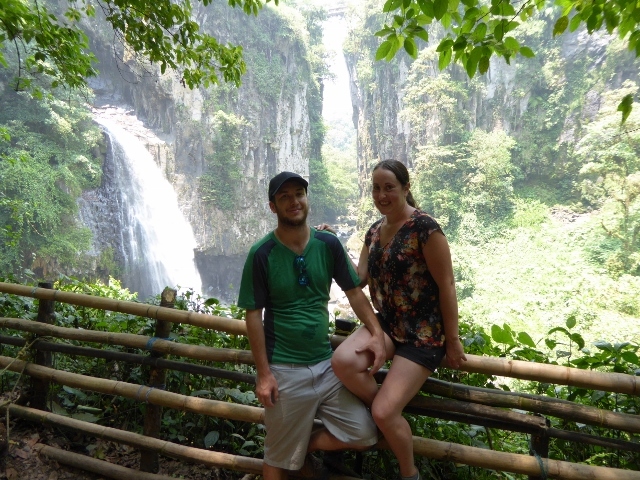 We were dropped off by the bus and walked the few kilometres to the site of the falls. In a minor act of stupidity I had failed to put together the equation: humidity + jungle + water = evil bitey insects. So when we stopped to see the falls I got ruthlessly eaten. Getting a bit hot and sweaty from the hike down and back up the hill we decided a beer and agua frescas were in order. The only issue with this was that as soon as we sat and stopped moving the blood-thirsty little shits swooped in for my legs. I made the decision to ignore them for the rest of the day, what harm could they do right? I knew I already had some bites, a few more wouldn’t hurt, and having no repellent with us I couldn’t do much to stop them. So we walked the few kilometres back into Xico where we watched a quinceañera and a wedding one after the other at the main church while stuffing face with ice cream. Yum Yum. Once we were back in Xalapa after getting the bus back I dared a look at my legs. For some reason it’s the only place I was bitten and wow was it bad. 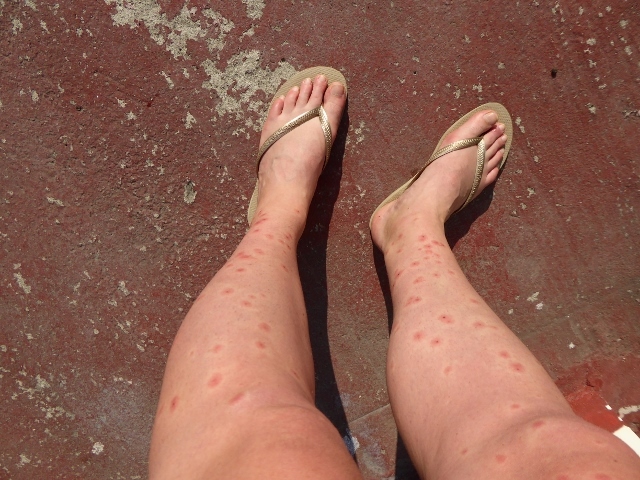 None of the bites were itchy but I looked diseased; like I had chicken pox but only on my lower legs. Dinner took my mind off my legs and as it was ANZAC day we grabbed a few beers to drink back at the hostel. The next morning was our last and with some recommendations from us our new friend accompanied us to the bus station on her way to Puebla. 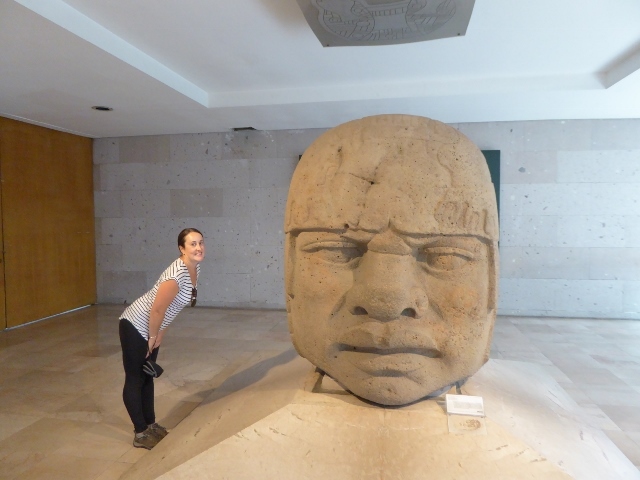 We on the other hand were off to Papantla for a couple of nights to visit some more ruins. This entry was posted in Backpacking, Countries, Mexico, Travel and tagged Archaeological site, Backpacking, Cantona, Cantona Archaeological Site, Mexico, Museum, travel, Volcano, Waterfall, Xalapa, Xico by twostraykiwi. Bookmark the permalink.